One of the greatest joys of crochet is that you can use your hands and minimal materials to make gifts that make others smile. In the case of donating to charity, you may actually be helping to save or significantly improve someone’s life. 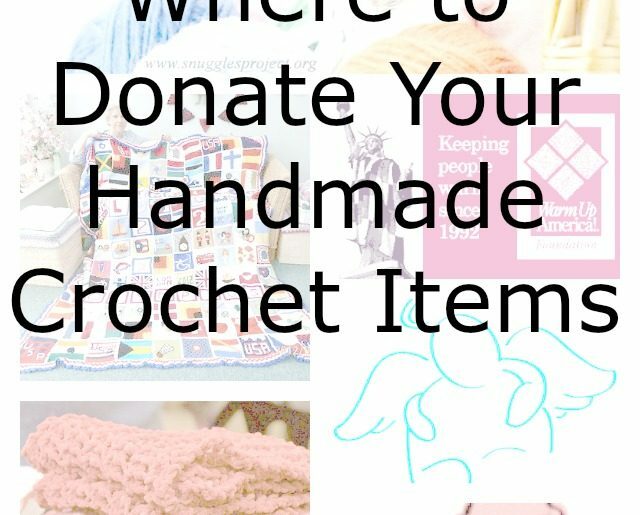 But where should you donate your handmade crochet items? This article provides some of the best options for charities that accept crochet. Remember that their needs and regulations are constantly changing so it’s important to be sure to check their latest updates before you begin crafting! Foster Care to Success is an established organization that helps lend support to foster children who head to college. This transition can be tough for any student and especially for young adult who might not have any family support behind them. 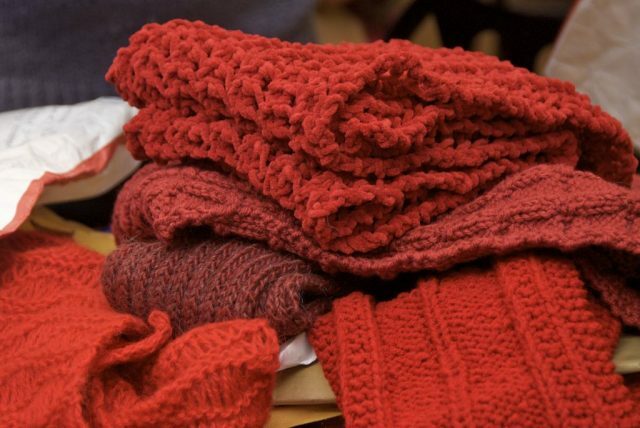 There are many things that you can do to help including donating to their Red Scarf Project. They accept crochet scarves in any shade of red, fringe optional, sized between 5″ and 8″ wide and about 60″ long. Note that scarves are only accepted during the last four months of every calendar year; they are given to students in a Valentine’s care package. The organization’s Student Care Package program offers a great way to make a difference by donating other small items as well. Sunshine International Blankets of Love (SIBOL) accepts crochet blankets for donation to elderly residents living in care homes. It is a way to let these people know that they are not forgotten, that someone out there cares and wants them to be comfortable. Crochet shawls are also accepted for this project as are crochet butterflies which are added to the blankets. Donations are accepted from March – November. Make sure to check out all of the latest details on the website. If you love to make crochet baby items then this charity might be for you. Carewear accepts a wide variety of handmade baby items for donation to many different hospitals. They accept hats, booties, blankets and more include preemie items. Knitting Rays of Hope. Crochet a hat for a baby in the NICU or otherwise in need. Support the troops by making crochet hats and scarves for Operation Gratitude. They prefer fairly neutral colors, with scarves that are a maximum of 4″ wide and 36″ long and do not include fringe. These items go into care packages (150,000+ sent annually!) to a diverse group of military members including those who are deployed, new members, veterans, wounded members and the family members of these people. The Ships Project. Donate crochet hats and slippers to members of the military who are deployed on ground or at sea. They have approved patterns and colors along with specific shipping deadlines (rolling dates) so check the site for current details. Knit Your Bit. 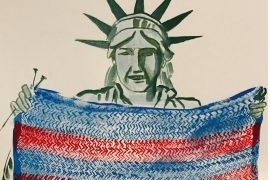 Crochet a scarf for donation to “veterans’ centers, hospitals, and service organizations across the country”. Many people enjoy making crochet hats and they are a perfect item to donate to people who going through chemo treatment for cancer. Halos of Hope accepts crochet chemo caps for babies age 6 months and up as well as for children, teens and adults. These should be soft hats that are long enough to cover the ears of the patient; patterns are suggested on the website. These are donated to more than 45o different cancer centers. Feel Better Friends. Crochet dolls for children who are going through chemo treatment. Knitted Knockers. Crochet a breast prosthesis for a woman who has undergone a mastectomy. People living outdoors or in homeless shelters frequently have a need for the basic clothing items to help them stay warm. Bridge and Beyond accepts crochet scarves, mittens, hats and slippers for this purpose. They also accept crochet washcloths and afghans. This organization helps people in need in the Central Ohio region. From Ewe to You. This is a year-round charity collecting a variety of crochet donations for people in need. They also accept donations for animals in need! Handmade Especially For You. Donate scarves to women who are living in domestic violence shelters. 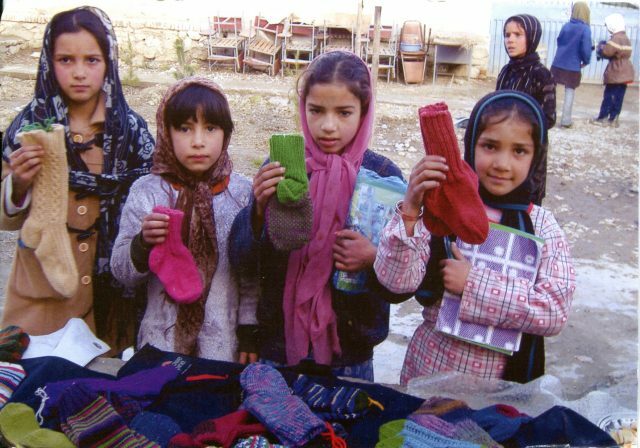 Afghans for Afghans works with relief agencies to provide handmade items to people in need in Afghanistan. They accept crochet blankets as well as accessories and clothing. Note that they run campaigns periodically and only accept donations at that time. Knit-a-Square. This organization accepts crochet blanket squares for donation to “abandoned and vulnerable children and AIDS orphans in southern Africa”. One of the most well-established and popular organizations to donate crochet items is Warm Up America. They work with a variety of different organizations to help people through a “variety of social service agencies, including homeless shelters, battered women’s shelters, American Red Cross chapters, veterans homes, senior centers, hospices and religious organizations”. They accept crochet blankets and blanket squares, scarves, baby clothing and hats for adults. My Recovery Buddy. “Founded as a way to help people through the rough patches they are going through – whether it’s battling addictions, disorders, trauma, or medical or mental illness”, this group accepts crochet “buddies” so people don’t feel alone in recovery. Friends of Pine Ridge Reservation. “Pine Ridge Reservation in South Dakota is home to the Oglala Sioux Tribe”. These are families living in poverty who have a great need for handmade items. They accept a variety of items. The Snuggles Project accepts crochet donations for animals living in shelters to help them feel more comfortable, safe and cozy. It also helps shelter volunteers and workers, not to mention visitors, to feel more comfortable in a less-industrial, homier setting. Snuggles Project has a worldwide directory of animal shelters and the donations they are seeking. Comfort for Critters. This organization accepts blankets for shelters animals that go home with them when they get adopted. 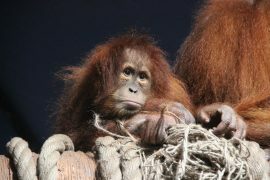 WildCare’s Baby Bird Nest Campaign. When a baby bird is orphaned and ends up in a hospital it needs a yarn nest to keep it safe. The Pink Slipper Project. Crochet pink slippers for women in domestic violence shelters to give them comfort and hope. LifeSource Wrapped in Hugs. Crochet a wrap to give to an organ / tissue donor. CGOA. This is an alphabetical listing of nationwide organizations accepting crochet donations. The Crochet Crowd. This is an interactive map showing places that accept crochet donations. These crochet charities may have local chapters or you may need to ship the items. 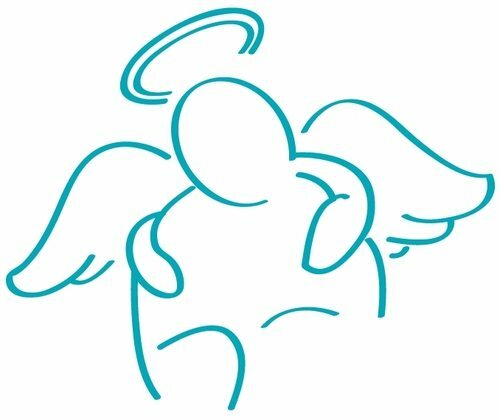 If you want to donate locally, some of the best places to check with in your area include hospitals, schools, daycares, domestic violence shelters, homeless shelters, counseling centers, nursing homes, animal rescues and churches. Great list! Also: World Vision’s “Knit for Kids” (https://www.knitforkids.org) accepts crocheted items, especially hats, for babies. 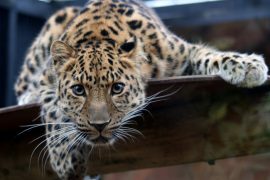 Thank you for the great list! Since you are in San Francisco, do you happen to know of any Bay Area nonprofits that have their volunteers meet in groups to crochet items to donate? That’s a great question. I don’t know of any off the top of my head but I’ll do some research! Thank you! I am also looking into this, so if I find any info, I will pass it on to you. The Knitting Connection in Medford Ma accepts donations of yarn,pattern books, hooks, crochet needles, and warm items for children 0-18. What a fantastic list! Thank you for taking the time to put this together. 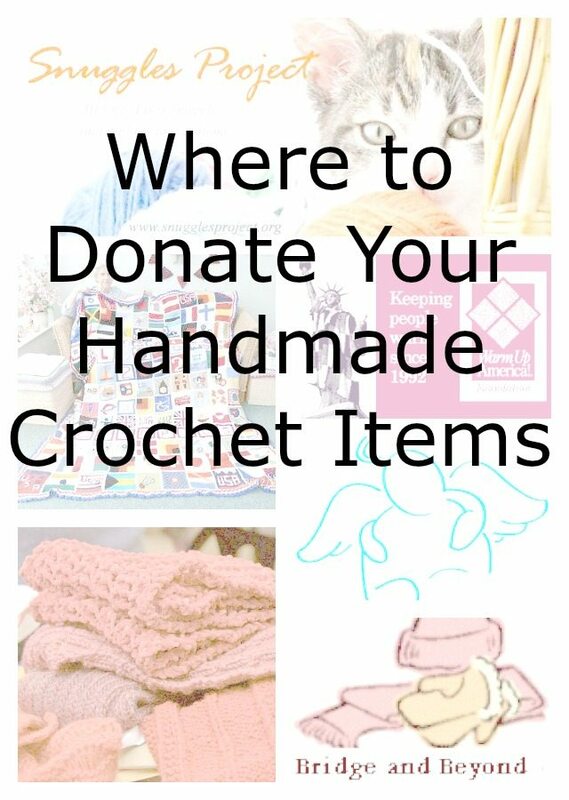 It is a great resource for me and plan on getting busy to crochet for charities! I have a strange request however maybe you encountered before. In 1985, I was given by my mom’s friend Evie, the below crochet bedspread. I had it cleaned back in 1985 and placed in a bag. Prior to receiving, it was used and over time, the edges did turn a shade. I contacted my Evie’s son in Ohio and he has no interest. Would someone in this network is interested ?